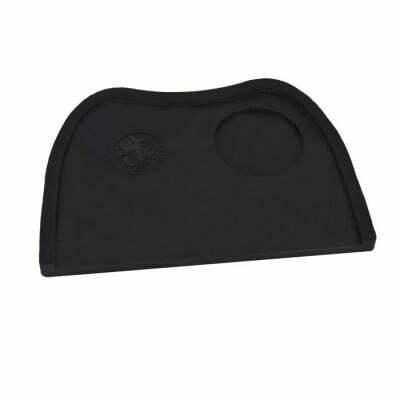 Protect your tabletops and pamper your portafilter with the Rhino Coffee Gear Bench Tamping Mat. Constructed from soft, dishwasher-safe silicone, this tamping mat is an ideal size for small brew stations and even features a 58mm cutout for portafilters. A straight, unbordered edge is well-suited for flat-sided portafilters like La Marzocco's.